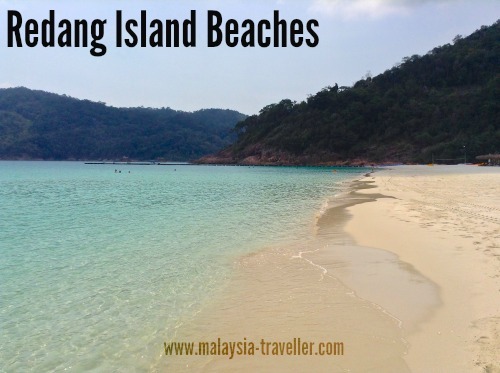 Redang Island beaches are some of the best in Malaysia. The beautiful heart-shaped paradise island of Redang is one of Malaysia’s top beach destinations, situated about 30 km off the Terengganu coast, just north of Kuala Terengganu. Much of the island’s coastline is rocky with jungle-clad hills dropping straight into the sea. These conditions are good for coral reef formation and with deep water close to the shoreline, the island is popular with snorkelers and scuba divers. Considered the best beach on Redang and one of the best in Malaysia, this private beach is home to the exclusive Taaras Beach & Spa Resort (previously known as the Berjaya Redang Beach Resort). The sand is soft and clean and the sea is calm (at least it was during our stay). Rocky outcrops at each end of the beach attract some colourful fish but this is not the best beach for snorkelling unless you hire a boat to take you to the nearby coral gardens. There is a floating jetty here and while walking along it one evening we saw a large turtle swimming about (unfortunately none of us had a camera). There were quite a lot of dead parrot fish and other species washed up on the beach for no apparent reason since the sea looked clear and clean. This equally gorgeous beach is the bigger sister of Teluk Dalam Kecil and is separated by a rocky headland which is possible to cross on foot with some care (otherwise you could kayak, paddle boat or swim round from the Taaras if you are fortunate enough to be staying there). There are no hotels on this bay and if you make the effort to get here you may well have the entire beach to yourself. This sheltered bay is where local fishing boats rest up during the day after a busy night catching squid with the help of their powerful spot lamps. This is the longest stretch of beach on Redang, located on the East coast of the island, and is where the majority of the resort hotels are located such as Sari Pacifica Resort & Spa, Coral Redang Island Resort, Redang Beach Resort, Redang Paradise Hotel and Laguna Redang Island Resort. Access to the beach is by boat. With its crystal clear water, this is probably a better snorkelling beach than Teluk Dalam Kecil but still with a coral-free sandy section in the middle for swimming. This is on the same side of the island as Long Beach from which it is separated by a headland. Again a rather inaccessible beach, except by boat or on foot through jungle trails. 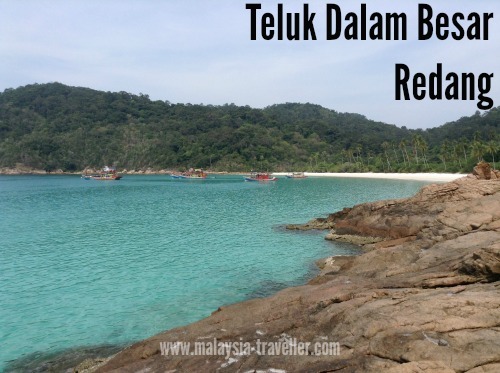 The beach can be divided into two; Teluk Kalong Kecil, where Redang Kalong Resort is located, and Teluk Kalong Besar, where the Redang Mutiara Beach Resort is found. Two small islands Pulau Kerengga Besar and Kecil are located just offshore this beach, as is a crescent shaped sand bar which is exposed at low tide. The administrative office of the Department of Marine Park Malaysia is headquartered on the small island of Pulau Pinang, just off the southern shore of Redang. From here the department protects and manages the 9 islands making up the Redang Archipelago (Redang Island itself and 8 small ones: Pinang, Ling, Ekor Tebu, Kerengga Besar, Kerengga Kecil, Paku Besar, Paku Kecil and Lima). At the Marine Park Centre is a sandy beach, a jetty and mooring area above coral reefs where snorkelers can come and swim. The website of the Marine Department has maps showing locations of all the scuba diving sites in Redang, Perhentian Islands, Pulau Lang Tengah, Pulau Kapas and Pulau Tenggol. Redang is home to the largest population of nesting green turtles in Peninsula Malaysia, although the number is still low compared to say Sabah. Chagar Hutang, also known simply as Turtle Bay, is an official turtle sanctuary and the beach itself is off-limits to visitors. Snorkelers, who have to arrive by boat, are allowed to swim offshore in the deep water. 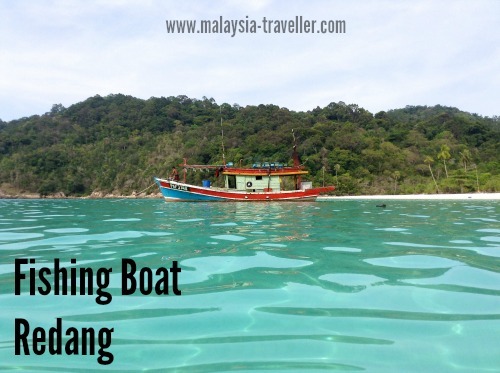 Two other isolated bays on the west coast of Redang, Pasir Mak Kepit and Pasir Mak Simpan have smaller stretches of beach and are accessible by boat. Turtles have been know to nest here too. There is a small airport at Redang which used to be served by Berjaya Air but scheduled flights are no longer operating. The only way to get to the island is by boat. 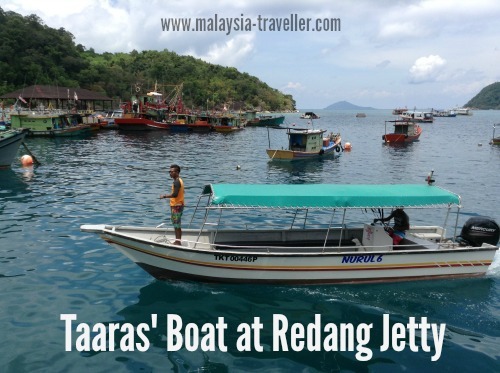 Most visitors fly to Kuala Terengganu Airport and from there take either the public ferry from Shahbandar Jetty in Kuala Terengganu to Redang jetty or take a private boat transfer arranged by one of the island’s resorts. For us, staying at the Taaras, the resort arranged a minivan pick up from KT airport which drove us north for 30 minutes (30 km) to a private jetty near the mouth of the Merang River from where we transferred to a speed boat for a 1 hour bumpy journey (26 km as the bird flies) across the South China Sea to Redang. At Redang jetty we were picked up by the Taaras minivan for a 5 minute transfer to the resort. Other hotels have similar arrangements. Check with the hotel for pricing. The East coast of Peninsular Malaysia is affected by the north-east monsoon from the month of November up until February or March. This rainy season creates rough seas and most of the resorts close down for this period. There is really only one road on the island which runs for about 3km from the jetty to the Taaras Resort, passing through the kampung on the way. This village is fairly recent. The 200 families or so used to live in wooden houses built on stilts above the sea near the jetty but they were relocated to the new kampung, presumably to provide the island’s inhabitants with better living conditions and to reduce pollution of the marine park. Swimming, snorkelling, scuba diving and non-motorised water sports are the main activities here. Lazing on the beach and wallowing in the sea is the best non-activity. It is possible to walk around the village and even to rent a motorbike but there is not a great deal to see and most tourists do not venture far outside their resorts. For other top attractions in Terengganu State, click here. 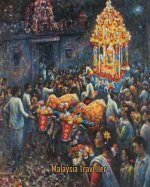 Unlike the backpackers haven on nearby Perhentian Islands, Redang caters more for the mid to up-market range and accommodation is mainly resort-based. 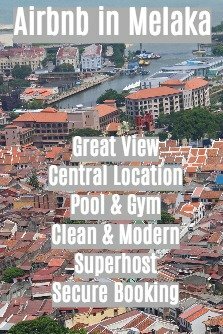 Take a look at Agoda’s website (by clicking on the advert below) for a selection of Redang hotels at discounted prices.